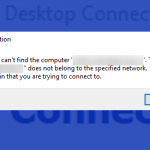 In this article we will take a look at the basic techniques for diagnosing a problem with Remote Desktop Connection. 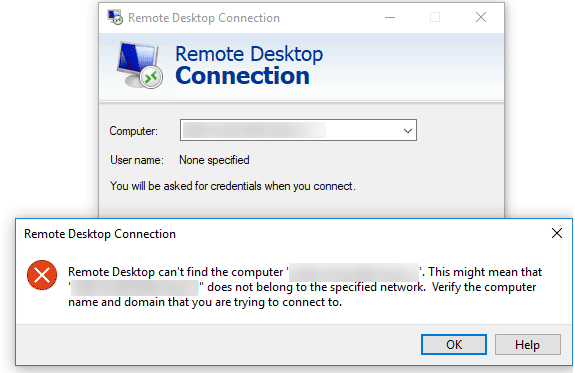 For example, when you try to establish a connection to the remote server using the standard client mstsc.exe (Remote Desktop Connection), the string as “Initiating Remote Connection …” appears, and then the user receives an error: Remote Desktop can’t find the computer %RDPHostName%. This might mean that %RDPHostName% does not belong to the specified network. Verify the computer name and domain that you are trying to connect to. In most cases, this error indicates that there are problems with your DNS servers (or DNS records on it), because of which your computer can’t resolve the specified host name. First of all, make sure that you have specified the correct name of the remote RDP host in the Computer field. 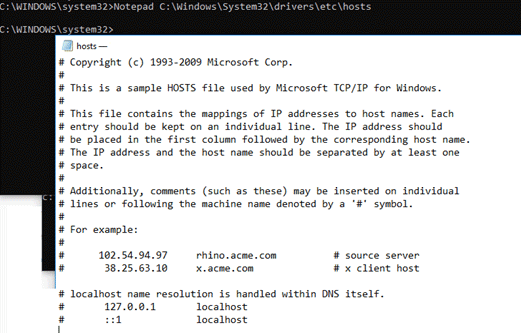 Try to connect to the RDP server by IP address instead of the DNS name. If the command returned an incorrect entry, try to flush DNS cache (ipconfig/flushdns) on the client and try to resolve RDP hostname again. If the problem is solved, your DNS server is misconfigured, you need to check the entries on it or report the problem to the DNS administrator. If the command returned TcpTestSucceeded: False, this means that the RDP service on the remote computer is disabled, or the connection is blocked by the firewall on the client, server, or network routers. 5. Remote connection is not possible if the user account under which you are connecting does not have a password. 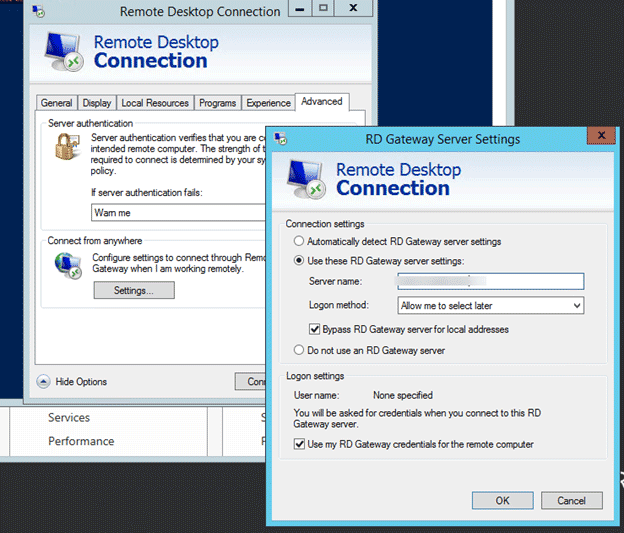 If the Remote Desktop can’t find the computer error occurs when you try to create a remote RDP connection from the RD Web Access page, try to manually specify the correct RD Gateway address in the RDP connection settings (the connection through RDWebAccess is performed not via standard port 3389, but through HTTPS – 443 port) and try to connect. If the connection is successfully established, then you have a misconfigured RDWebAccess server. To fix the problem, open the IIS Manager console on the RD Web Access server. Go to Sites > Default Web Site > RDWeb > Pages. Open the Application Settings section and in the DefaultTSGateway parameter specify the external DNS name of your RD Gateway server.